Architecture Patterns are not yet integrated into TOGAF. Despite this, they are a very important EA technique that warrants its own chapter in the TOGAF documentation. Patterns put Building Blocks into context. 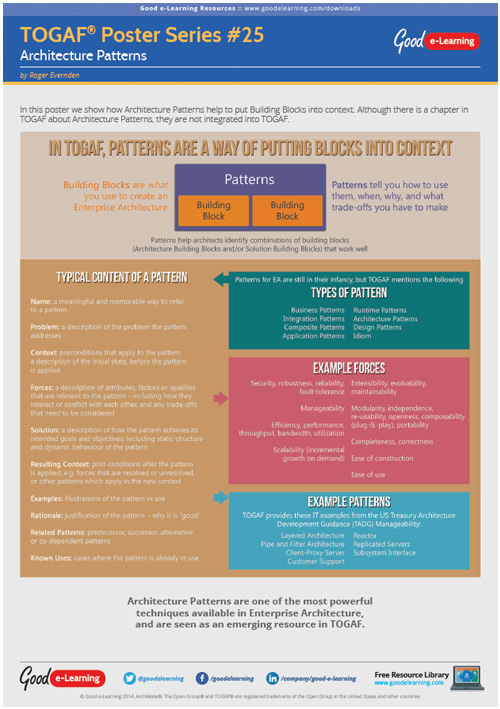 Here we explain architecture patterns, summarize the content of a pattern, and provide examples of patterns and forces.